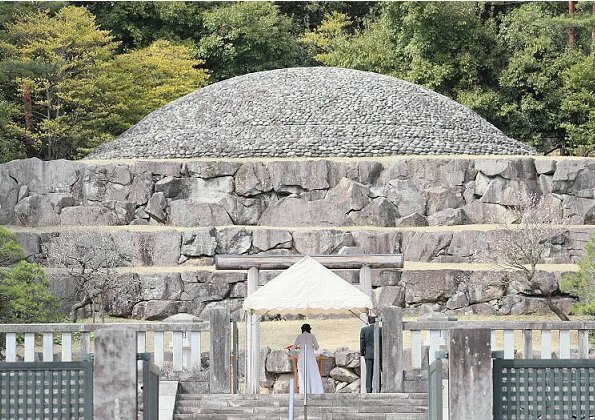 On March 25, Princess Kako, a granddaughter of Japan's Emperor Akihito and the younger daughter of Prince Akishino and Princess Kiko, visited the Musashino Imperial Mausoleum in Hachioji, for the purpose of offering prayers to the late Emperor Showa and Empress Kojun and also reporting her university graduation to them. 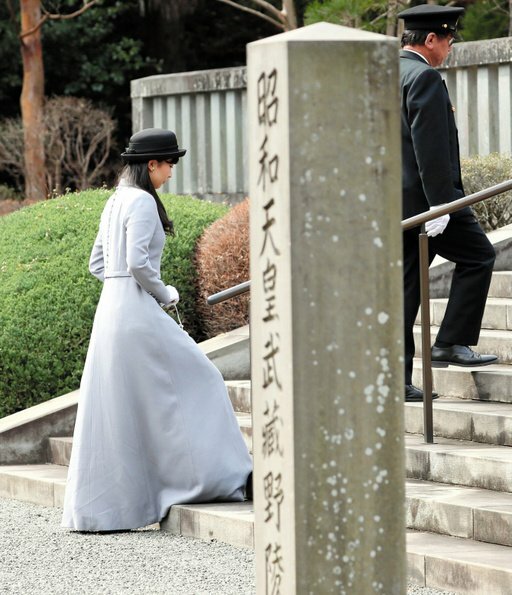 Princess Kako graduated from International Christian University in Tokyo on March 22. 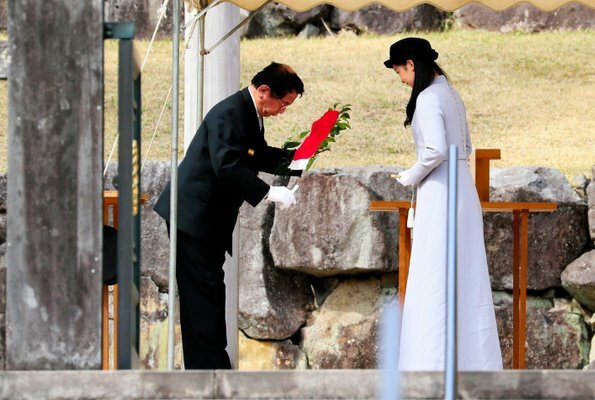 I know that their clothes can be a bit boring but you have to give it to the tailors of the Japanese royal ladies. Always pastel colors, maybe a few bolder colors would look nice.Lovely Pss.